Annual Turnover2008-09 Rs. 2-5 Crore Approx. 2009-10 Rs. 2-5 Crore Approx. 2010-11 Rs. 2-5 Crore Approx. 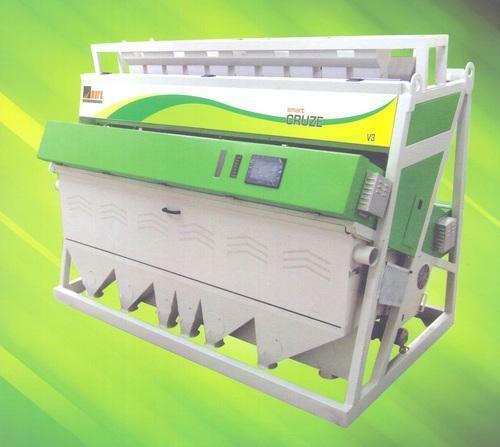 Promech Industries Private Limited, one of the leading manufacturers, supplier, traders and exporters of this commendable range of Color Sorter Machines, ever since our incorporation in the year 2011. The offered range is made up of the finest products like Grain Color Sorter, Rice Color Sorter & Food Grain Color Sorter, which are widely acclaimed and asked for in the market. Manufacturing of this range is commenced in accordance with the set industry norms and guidelines, utilizing the finest raw materials and modern machines. Because of this, the product’s capacity, strength, precision, performance and service lie, is widely acclaimed. Further, the offered range is marked at the most reasonable rate possible. Our highly futuristic infrastructure is upgraded on a highly regular basis, for reasons of maximizing our reach in the market. Partitioning of the facility into several highly operational units, ensure better and smoother management of the firm’s operations. Equipped with all the machinery and amenities required, it with utmost efficiency, facilitates the attainment of several of the firm’s goals and objectives. Further, the facility under the leadership of experienced and skilled professionals, dedicate their efforts towards the attainment of greater productivity. Further, our abidance of the set industry norms and guidelines, help us in the setting up of our client base All over the world.